Pop the champs, because you're gettin' married! 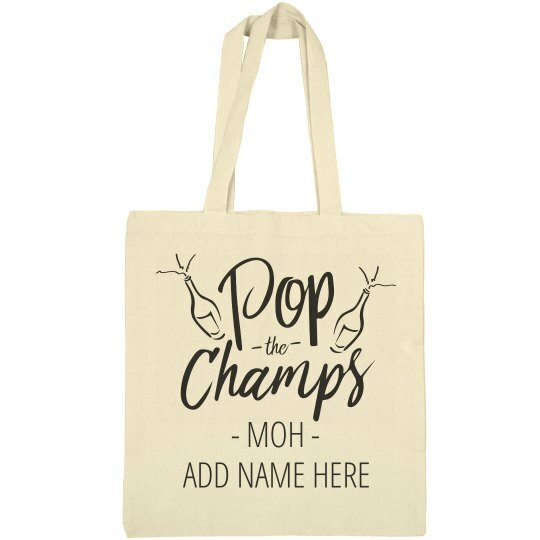 Customize a cute canvas tote bag to ask your bestie to be your maid of honor with! Add her name to make it super special.